Four weeks ago I reported on Ubuntu Forums that my Ubuntu box freezes whenever I try to use webcam with spca5xx driver. Here is my post Breezy hangs when using webcam. So, it seems it works now. Four days ago I got a message from Alvaro Arenas with explanation how to solve this issue. Simply, I used wrong gcc version to build spca5xx driver - gcc 4.0 instead of 3.4 :-). Here you will find complete article explaining all details [HOWTO] Using spca5xx webcam driver. 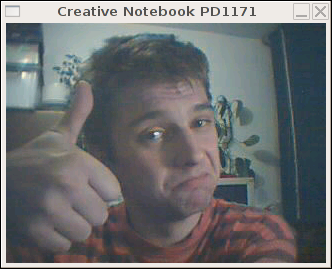 Now, I’m going to find some nice software to play with my webcam. Do you have any suggestions?